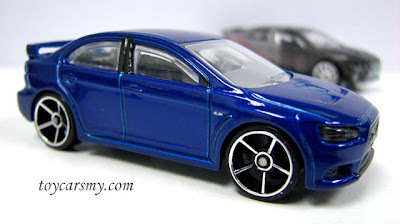 We was once complained about the missing blue Evo in the 2008 First Edition. But the latest 7-Eleven promotion is flooded with it. One of my top picks in the 2008 First Edition. Why the blue variant did not come with dark base? It should looks better with that. 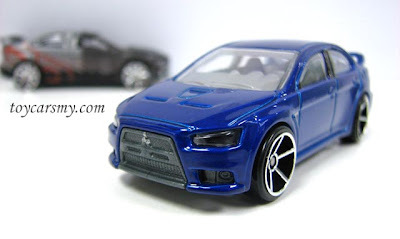 What else to say, the Evo is favorite to many collectors, further more it is the first casting. Blue is not my color, but still buy it because it had 4D(door). 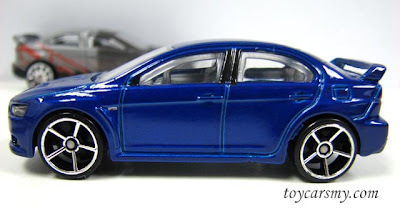 Not many 4D car in HW. Still searching the grey or red color.